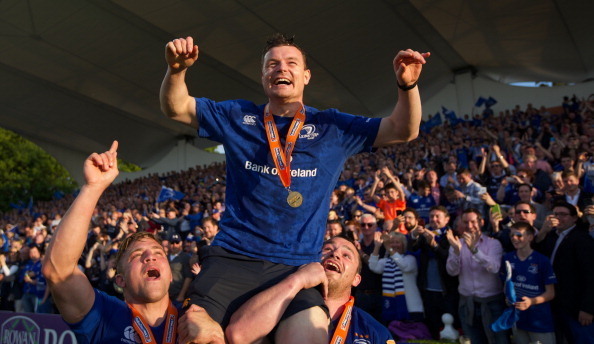 In The Test, Brian O’Driscoll takes the reader behind the scenes of his life from his childhood to his retirement from playing this year, dealing honestly with the most traumatic of times, including the suicide of one of his best friends. The Ireland legend also shares the details of personal milestones such as his proposal to wife Amy and the moment she told him she was pregnant. On the rugby side, trying to pack his long and glittering career into just under 400 pages means some seasons are skated over and some of the accounts of games are a little samey, but O’Driscoll lifts the lid on his relationships with the likes of Paul O’Connell, Ronan O’Gara and Johnny Sexton while telling the tale of Ireland’s successes. He charts Leinster’s rise from also-rans to top dogs in Ireland and Europe, telling how he threatened to leave if things didn’t improve quickly. There is very little mud-slinging – although referee Steve Walsh needs to take cover – and O’Driscoll comes across as a modest, self-critical and at times insecure soul. Tales which will raise eyebrows include his arrest in New York for assault, and there are lots and lots of laughs as he recounts some of the alcohol-fuelled high jinks from his early career and explains how he and some friends partied with actor Colin Farrell in LA – almost! The Test allows the reader to get to know O’Driscoll the person, the husband, the father and the friend. It is honest, charming and revealing – a thoroughly good read. The Test is published by Penguin and costs £20. We’ve got six copies of The Test, autographed by O’Driscoll himself, to give away. Go to rugbyworld.com/competitions for your chance to win one. Good luck!